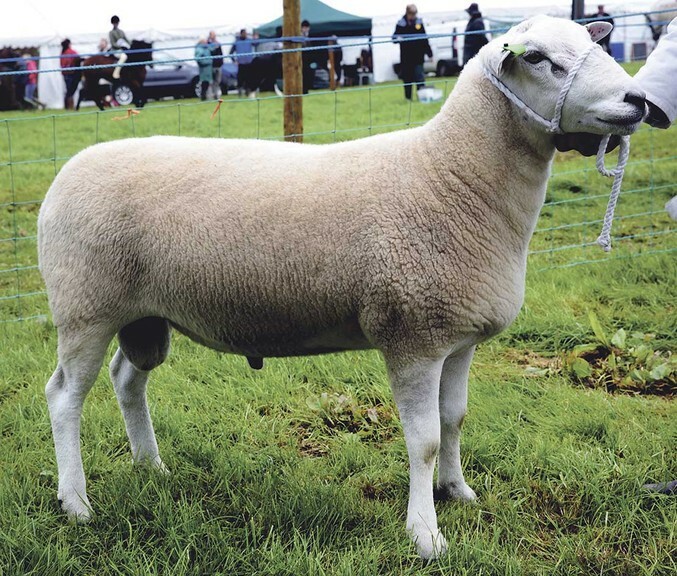 HOME bred entries from Roger and Helen Wells, of Verdig, near Cardigan, took the top awards in Saturday’s South Wales Lleyn Sheepbreeders’ Club show staged within Llandeilo Show. Out in front was a yearling ram, while in the reserve spot was their yearling ewe. Judging was in the hands of D. Jones, Commins Coch, Machynlleth. Supreme and male; R. and H. Wells; reserve sup. and fem., R. and H. Wells. Senior ram: Sup., K. James-Evans, Silian, Lampeter; res., E. and L. Thomas, St Clears. Shearling ram: Sup., R. and H. Wells; res., D.W. and C.M. Morris, St Clears. Ram lamb: Sup., R. and H. Wells; res., T. and J. Rees, Llangadog. Senior ewe: Sup., E. and L. Thomas; res., R. and H. Wells. Shearling ewe: Sup., R. and H. Wells; res., E. and L. Thomas. Ewe lamb: Sup., R. and H. Wells; res., E. and L. Thomas. Ram and progeny: Sup., R. and H. Wells; res., T. and J. Rees. Group of three: R. and H. Wells; res., D.W. and C.M. Morris. Young handler: Sup., Aneirin Vaughan; res., Kate Naylor.